And so our new journey begins. 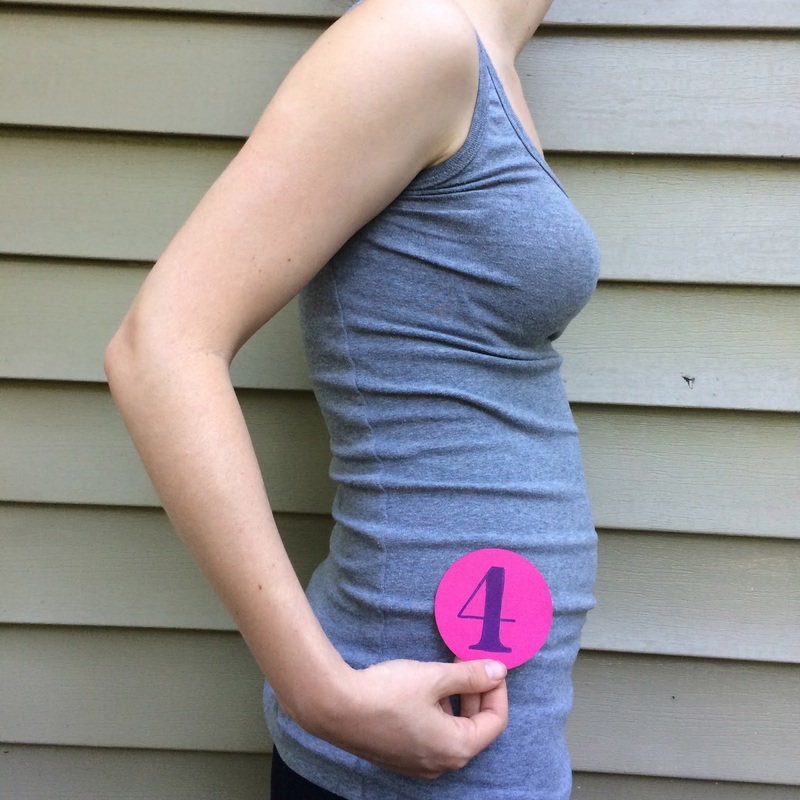 We found out we were pregnant with baby #2 on May 12th after I got home from a wonderful doula birth. 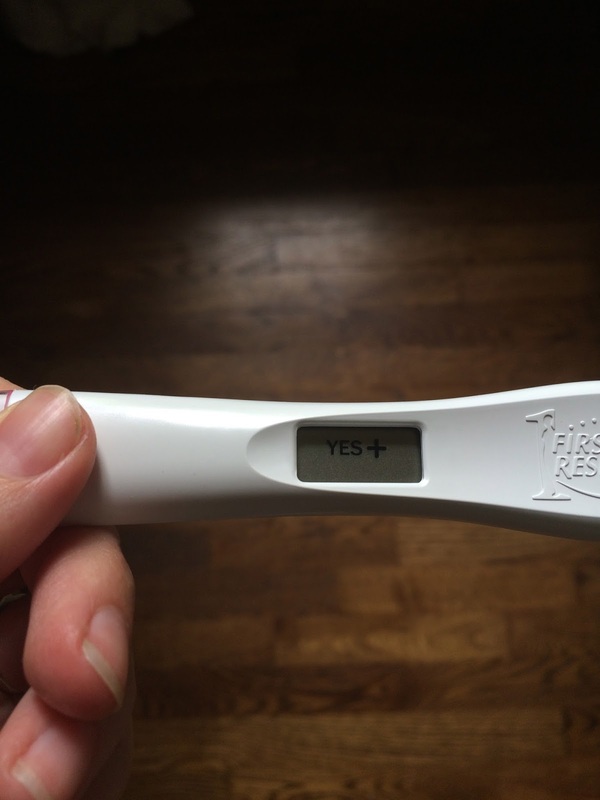 Even though this was very much planned, seeing a positive pregnancy test is always a shock. 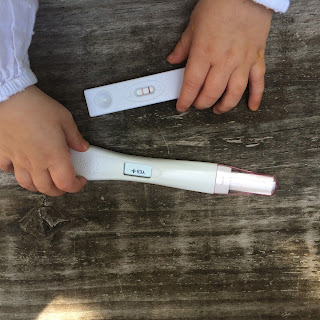 Unlike with Genevieve, we got pregnant super fast and I think I was a little surprised when it actually happened. Genevieve has no clue what is about to happen ;) But it is so sweet that she calls my belly 'baby' and wants to kiss it all the time. Goodness, I love her. And so the monthly updates begin. 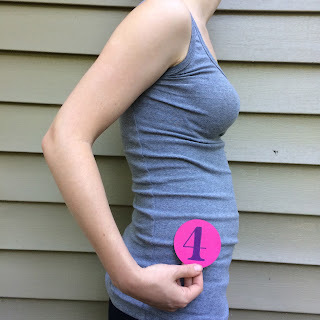 Week 4: We just found out we were pregnant, no symptoms yet - just excitement! 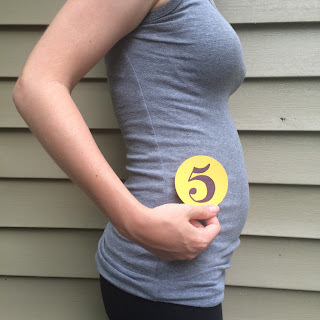 Week 5: My first real symptom of pregnancy was feeling cold all the time. I would wear long sleeves indoors and get relief in the hot summer weather. Was not expecting that symptom. And I started feeling a little bloated. 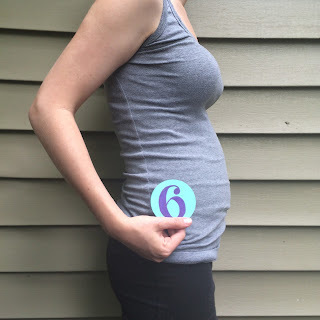 Week 6: Morning sickness, or really evening/all-day sickness started this week. The exhaustion and queasiness felt like being car sick and jet lagged all day long. I was dizzy and had a hard time sleeping. This was the first time I felt round ligament pain when I sneezed. I was so grateful that I didn't have any births this week! 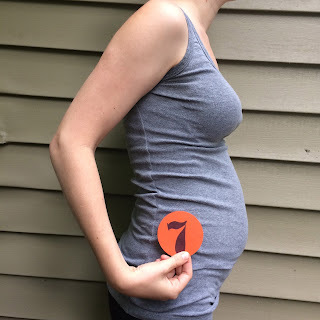 Week 7: Breastfeeding started to hurt this week. Genevieve's lazy toddler latch was not comfortable! I had allergies every night, waking me up at 2am. The queasiness and exhaustion remained with some crampiness at night. -We celebrated our 5th anniversary. I showed up late to our lovely reservation after a 12 hour labor, in my scrubs and totally disheveled, but it was still a great night. -I attended 5 births this month and learned how to handle long hours with pregnancy symptoms. -I gave myself a 'we got pregnant' gift and bought a new couch. Nothing monumental in the grand scheme of things but we hardly ever buy new furniture and it was the perfect time to do it. Our old pallet bed/couch turned into a big girl bed for Genevieve for her to adjust to before baby #2 comes. She could read books on your bed for hours. 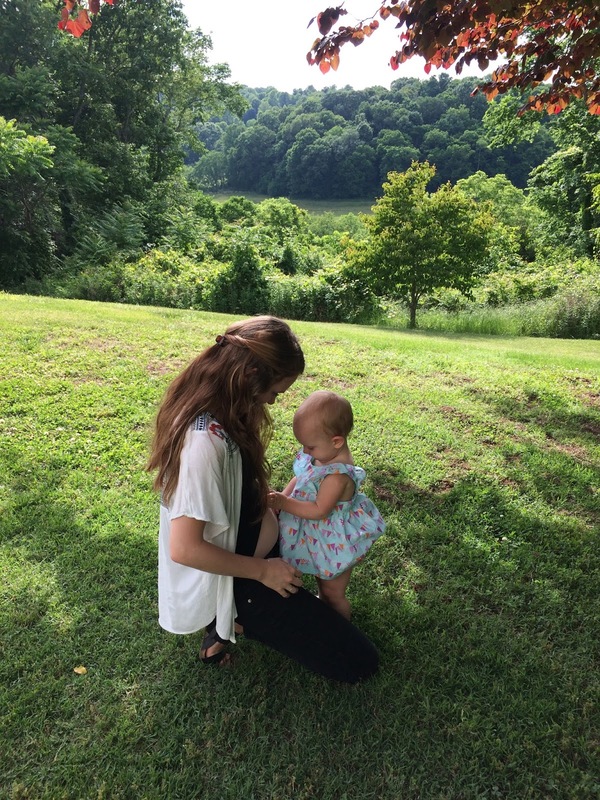 -We celebrated my niece, and Genevieve's best friend, Nora's birthday. -We spent many hours outdoors working on our garden and swimming in the pool. I am not going to lie, some days I forget I am pregnant. I mean the queasiness and exhaustion reminds me that something is up, but your big sister keeps me plenty busy! 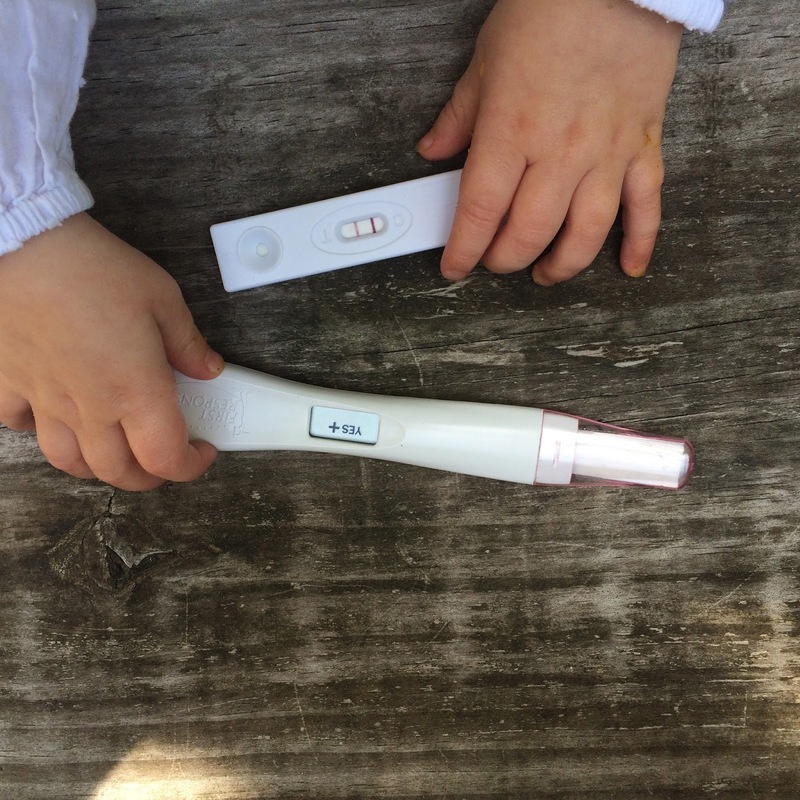 I've had a few moments where it catches me off guard and I get teary-eyed thinking about another precious soul joining our family. And you are already making a little appearance. I didn't expect to show quite this soon. I can't wait to spend some quiet time, just me and you, bonding while you grow inside of me. We already long for you! This is Rianne from Holland now living in Switzerland, Me and my husband did DTS together with Michael in Lausanne... That's how I ones found this blog! I love reading about your inspiring life as a family! During my first pregnancy I enjoyed every update you wrote...Genevieve was born one month before our daughter....so much to relate to, so much I recognized! 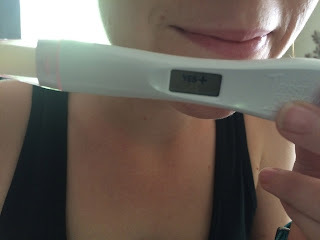 Now we're again pregnant at the same time (by the end of January we expect our second miracle), I am looking forward to all your updates and pictures and wish you a very special pregnancy!